The word Spall in engineering, describes the chips or fragments of a material that is broken off a bigger object. 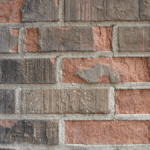 The process of spalling also known as spallation is the surface failure that occurs when a material such as concrete, brick, or limestone is subjected to excess moisture, corrosion, weathering, and much more. Concrete spalling commonly known as (concrete cancer) is an eye-sore and has the potential to be an extreme hazard. Left untreated and exposed to the elements will cause extensive structural damage and may cause it to break away from the façade, potentially injuring the public and damaging property. Spalling, at a low level, is mainly a cosmetic problem but it can lead to structural damage if not dealt with immediately. 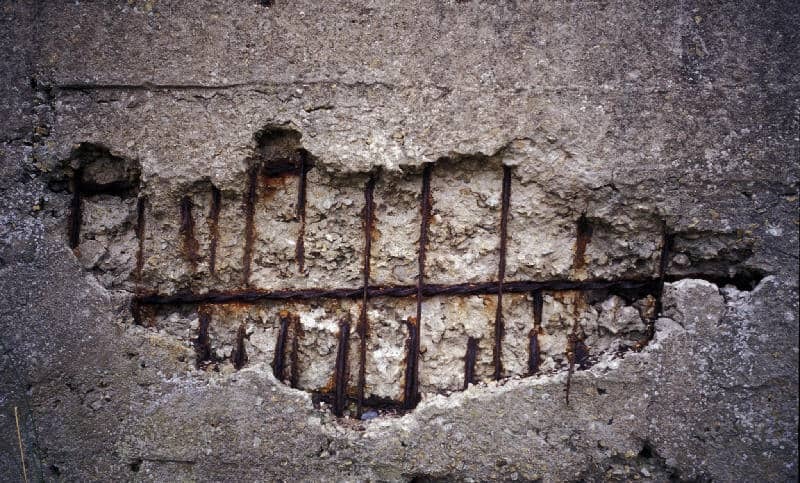 If left untreated, damage can occur to the reinforcing bars within the concrete. Also, large enough fragments could fall off which could lead to serious consequences. making sure to apply a water-repellant sealer after the slab is cured. The water-repellant sealer is probably the most essential ingredient needed to prevent spallation. After the concrete is done though, one can use a Concrete Treat as a sealer on outdoor and indoor concrete in order to prevent moisture from entering. crumble. 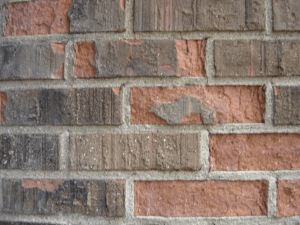 Causes of excess moisture may include consistent, heavy rainfall coming into contact with outdoor brick, or dark, damp areas such as basements in which the humidity and also salt will affect the walls. A common but not well understood problem with older concrete structures is spalling. 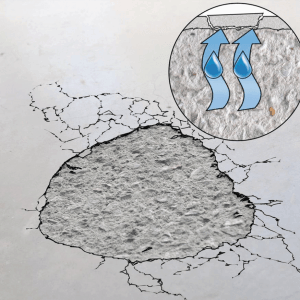 Concrete spalling is usually caused by corrosion of the steel reinforcement bars embedded in the concrete matrix, but can be caused by other ferrous elements either fully or partially embedded in the structure. Steel frame window systems, handrails, structural I-beams, metal pipes and conduits are among the most common of the damage causing building components. embedded steel from corrosion. One of the main components of this corrosion protection is provided by the amount of concrete cover protecting the steel. As a general rule of thumb one inch of cover is required to protect the steel rebar, in other words, no rebar should be nearer than one inch of the concrete surface. Another important factor for the protection rebar is to make sure that the concrete is properly consolidated during installation. Besides environmental factors, poor installation also induces spall to form in concrete or limestone such as through structural overloading of the stone or not taking care to have the proper mixture of ingredients while pouring the concrete. Good consolidation is achieved by installing concrete that is the proper consistency, and by vibration of the wet concrete before it begins to set. 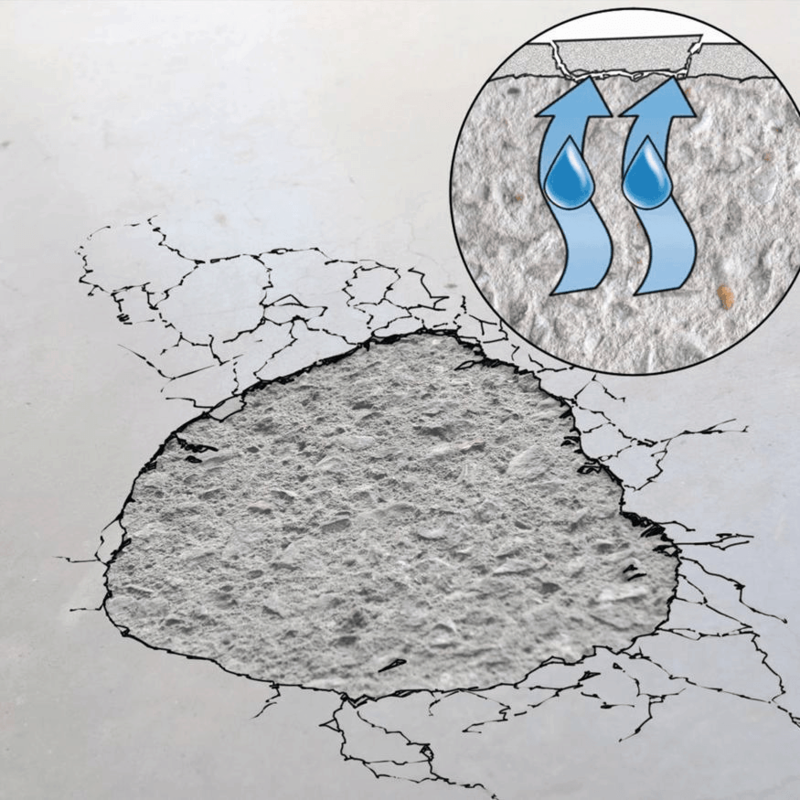 Concrete that is too stiff (has too little water) is often not consolidated properly which allows air bubbles and voids to be left in the finished matrix. If these voids (commonly known as rock pockets) are large enough or extend all the way through the wall structure, water can easily penetrate the finished wall and/or contact the rebar and cause corrosion. 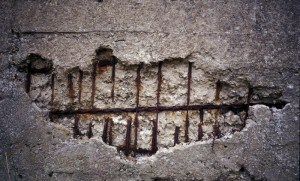 Remove the concrete at the spalled areas to expose the corroded steel bars. Scrape and clean the exposed steel bars and use a wire brush to remove the rust. Apply two coats of anti-rust paint to the steel bars. Before patching the area, apply a bonding agent to the affected surface to ensure proper adhesion. Patch up the hacked area using polymer modified cement mortar.